We are living in the Age of Hamilton. This moment feels eerily like leaning against a statue in Central Park after a long day of museum-going when suddenly the cold bronze springs to life and begins not only to speak, but to sing and dance. 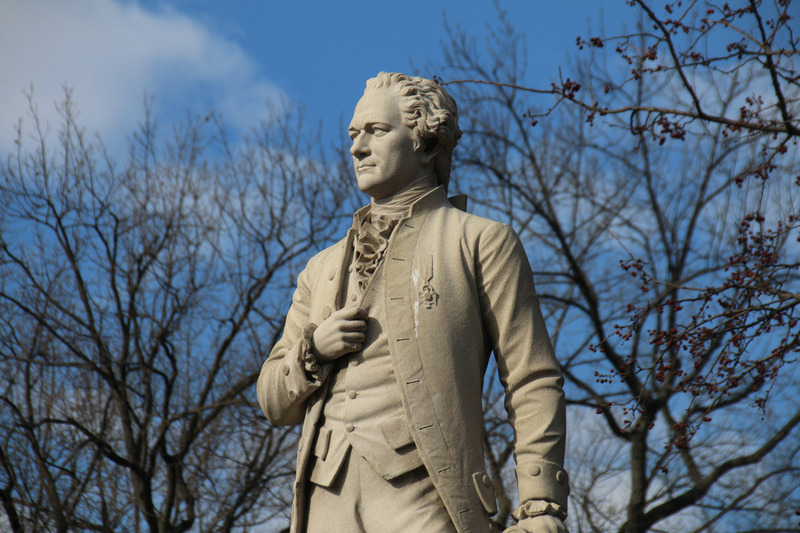 Hamilton has animated interest in the people and ideas of the American Revolution better than scholars who have spent their entire careers devoted to it. For me as a historian, it is a reckoning. Some scholars might be inclined to ignore this moment and carry on as usual; I think it would be a better idea to try to capture the lightning in a bottle. Audiences around the world have made it clear they are hungry for history told in a contemporary and inclusive way; that doesn’t shy away from controversy and conflict; that embraces the passion, drama and pathos of the human past. We live in extraordinary times, just as Revolutionary-era colonists did; a deeper knowledge of their world can serve as lamps to light our way. Publius is a blog featuring the individuals, themes, ideas, and events touched on in the musical. Each post will feature new research and fresh insight into Hamilton’s America. It is a production of the Teaching History with Hamilton Project at Stonehill College.